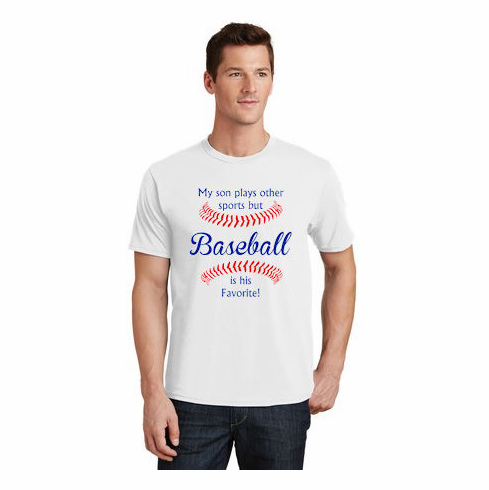 These baseball t-shirts have the My son plays other sports but Baseball is his Favorite! graphics screened on the chest. 100% cotton.